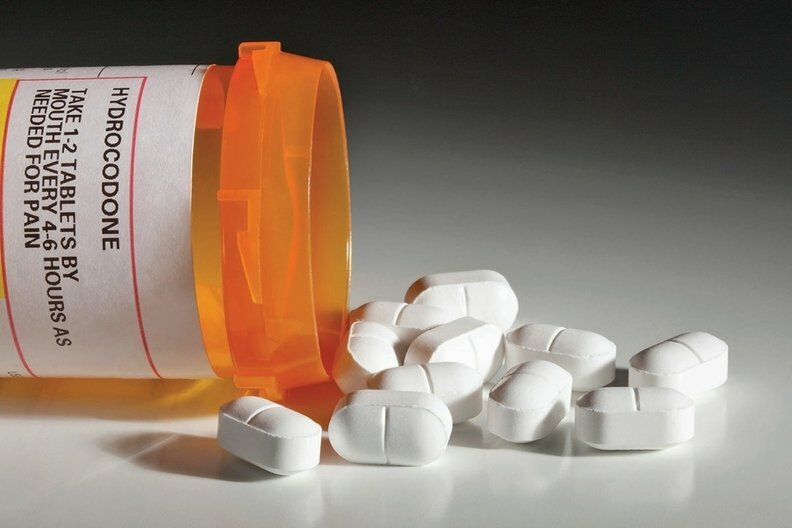 A representative of the addiction treatment industry on Tuesday urged a key House panel to consider policies to crack down on patient-brokering—a complicated, fraudulent practice stemming from the opioid epidemic that insurance companies have been navigating for the past few years. Patient-brokering has become prevalent enough that Marvin Ventrell, executive director of the National Association of Addiction Treatment Providers, told the House Energy and Commerce oversight subcommittee that his organization adopted ethics rules in late 2017 to ban any of its members from taking part. "First and foremost (in the new ethics rules) is patient brokering: under no circumstances should a provider buy or sell leads," Vantrell said. "It is now prohibited by our code." The issue has nabbed headlines for months now. It involves a third party, often a treatment center that may not meet adequate care standards, paying a recruiter to fraudulently enroll an addicted patient in a flexible Obamacare individual market plan offering out-of-state coverage. Then the patient heads out to a treatment center, likely in a desirable locale like Florida, Southern California or Arizona, that may or may not offer adequate care. If the fraud is discovered and can be proven to the CMS, the agency rescinds coverage and the patient is expelled from the treatment center. Ventrell blamed the widespread nature of the fraud on lack of clarity within current law. "The law has been confusing and sometimes nonexistent, state by state," he told lawmakers. "I would support a federal law. There needs to be a federal law in that regard." It is unclear how much money the fraud has cost insurers. Industry representatives who spoke with Modern Healthcare shied away from quantifying how many of these fraud cases they have seen over the past few years and declined to say whether that number is ticking up or down. But one consultant who works with insurance companies on the issue said claims filed for these fraudulent plans can total upwards of $100,000. In June, the Justice Department arrested addiction treatment center operators who had filed more than $106 million in fraudulent insurance claims related to the scheme. But insurers concede that a legislative push would be complicated because patient-brokering schemes span different states' regulatory and licensing issues while also touching on the CMS' overarching role in managing the federally facilitated marketplace for some states' Obamacare exchanges. First, the states have explicit authority to license treatment facilities. So Kim Holland, who focuses on state issues for the Blue Cross and Blue Shield Association, said she plans to focus lobbying efforts on strict licensing standards when state legislative sessions resume early next year. "It's the state's responsibility to license facilities," she told Modern Healthcare "It's state legislatures that create the opportunities, so where we want to focus attention is to help states with more robust licensing and oversight for any substance use disorder facility." The role Obamacare individual market plans play in the fraud add another layer of complexity. For one thing, third parties are allowed to pay for part or all of an enrollee's premiums—a practice that facilitates patient-brokering. For another, the CMS manages many state Obamacare markets and is ultimately responsible for rescinding or pre-empting the fraudulent enrollments in those states. Rachel Jones, a financial investigations official with Pittsburgh-based Highmark Blue Cross and Blue Shield, said that although patient-brokering has been happening for years there are still few controls in place to catch fraudulent enrollments before the plans have been approved unless the patient broker is a repeat offender who has already been flagged. Jones said the CMS is trying to tighten upfront verification of applicants during the special enrollment periods. This is when the fraudulent brokers are more likely to strike citing a major life change like a permanent move, and then setting up a false address that may lead to a vacant lot or a house listed for sale. Highmark also hired a vendor to try to capture likely fraudulent addresses as soon as possible. But that takes time: it involves finding the person who is supposedly signing up for an exchange plan and seeking proof of identity after a fraudulent broker has used a false address. "A lot of times when we try to reach out we don't hear back," Jones said. "It's hard to track down the people at the time of enrollment." Once Highmark concludes that a plan is fraudulent, the company then has to prove it to the CMS so that the plan can be rescinded. Before the agency can remove a person from the insurer's rolls, Highmark must fully document the fraud and hand over supporting documents that essentially audit the request. Jones declined to give a typical time frame for how long this rescission can take, but said the cases her division is working on "aren't necessarily present day." A consultant who works extensively with plans on the issue said the process can drag on for months. Michael Adelberg, a former CMS official who now works as a consultant with the Washington firm Faegre Baker Daniels, said the "common appraisal from the qualified health plans is that this process is not yet very efficient or transparent." Patient-brokering has become a major rallying point for insurers. For Tuesday's hearing, America's Health Insurance Plans submitted a statement for the record that reiterated the industry push for a policy to deal what the group calls a "serious, potentially widespread issue that needs to be addressed with serious solutions." "These fraudulent, abusive practices not only put patients' lives in grave danger, but they also make it more difficult for people to afford their coverage and care," AHIP said. "These practices raise overall health system costs and increase premiums for everyone, not just those who are sent to 'sober homes.' "
Some states are discussing policies that could mitigate the practice. The California Legislature, whose legislative session runs through August, is considering a measure to curb third-party payments. The bill, introduced by Democratic state Sen. Connie Leyva, would limit use of third-party payments specifically for substance use treatment facilities and dialysis clinics. The measure faces a hefty lobbying battle with the dialysis industry, where third-party payments are common to move Medicaid patients into private insurance plans. But Holland from Blue Cross and Blue Shield Association said the industry sees the California bill as one of the strongest proposals out there that could prevent substandard treatment centers from paying premiums to recruit patients. "If facilities have financial gain in getting the patient insured, they shouldn't be the person paying the premiums, and it is through that, some of the third-party payments, that we're seeing people encouraged and enticed into facilities," Holland said. But, she noted, the issue of patient-brokering is complicated, particularly because it falls within the overarching crisis of widespread opioid use, and there is no easy answer. "It's an imperfect system that we're working to remedy," Holland said.